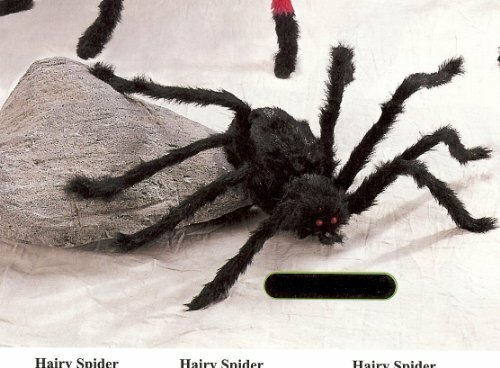 This Hairy Black Spider is definitely not for anyone with arachnophobia. But it is for anyone who wants a great prop to help set the mood for Halloween. Features a large black fuzzy spider. Legs span 90 inches, body is 14 inches long. This guy is GINORMOUS! Not a toy, decoration only. This guy sure is a crowd pleaser! Perfect for all those Haunted Houses! If you have any questions about this product by The Gothic Collection, contact us by completing and submitting the form below. If you are looking for a specif part number, please include it with your message.